Its designers were apparently envisioning a rolling aquarium, which explains its massive glass posterior. Had it not appeared in Wayne's World, most Americans would have never seen one, except decades ago on the side of the road. Shockingly, naming an SUV after a plot of land in Manhattan turned out not to be one of the best business decisions ever. Its grille looked exactly like Lena Dunham's posterior after a waffle iron had been applied for 10 minutes. 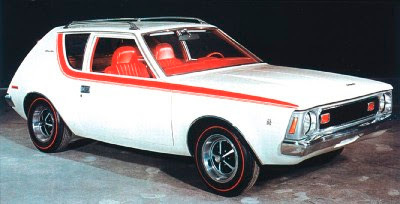 More Troll than Gremlin, this two-door station wagon had all the curb appeal of roadkill. Its delightful failure in the market played a central role in the death of its maker, AMC. 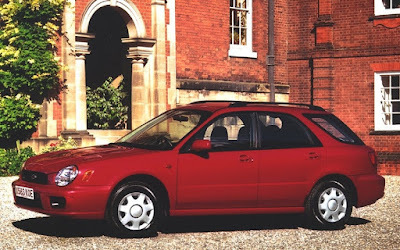 The automotive equivalent of a lime green tuxedo, the Unimpreza was -- perhaps -- the biggest buzzkill for females in the history of cars. That is, if an Impreza really was a car. 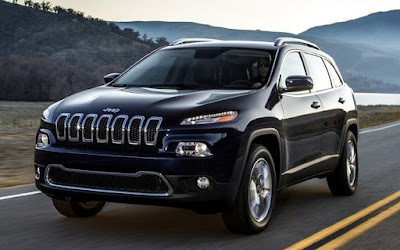 The 2012 Cherokee's grille boldly told observers to "look at me! I'm Elizabeth Warren, only with less noticeable age spots!" 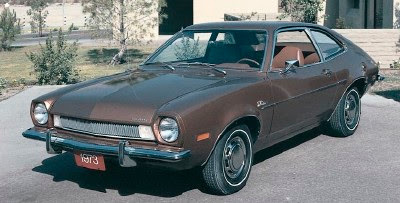 The Matador was apparently designed to fulfill the need of buyers seeking a family-sized Chevy Vega. Combining the reliability of a Soviet Volga with the styling of a half-finished Dodge Challenger, the Matador had it all. If by "all" you mean "all the tools to destroy an auto maker". Its costarring role in Breaking Bad saved it from permanent ignominy. 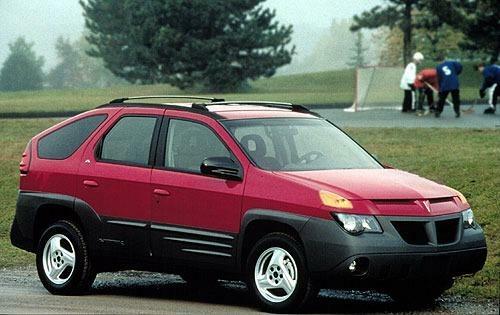 This unique SUV-Crossover-Station Wagon looks like Darth Vader's stroller. If someone tried to place a Cube in a sci-fi move, they'd get laughed off the set. 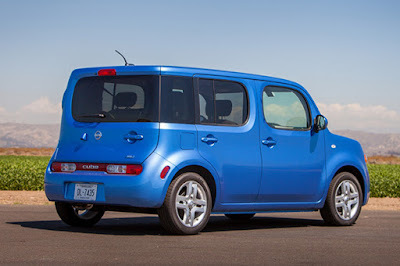 It was a sixties view of a 2000 commuter car if said sixties commentator was Timothy Leary. 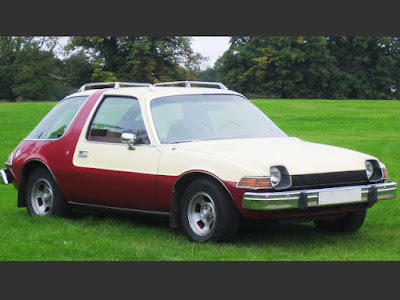 You didn't see many of these on the roadways for two reasons: (a) it was at least as hideous as Rosie O'Donnell without makeup; and (b) it had all of the reliability of a mechanical watch made in Beirut. Only about 125 people died after their vehicles blew up in collisions due to a faulty gas-tank design. So, overall, your odds were pretty good at survival. Though your odds of surviving the embarrassment of driving one weren't nearly as high. 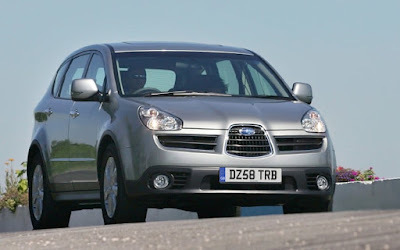 For real-time automotive news, bookmark BadBlue Car News. 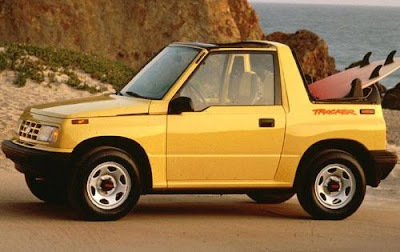 How did the Volkswagen "Thing" not make the top ten?? Biff? Wasn't he the guy that kept having 'issues' with manure in Back to the Future? His 'judgment' might be a bit sour, not that I disagree with most of his choices but since Mike brought up the Thing, how about the Yugo? Add the "Mustang II" to that list. A Pinto with a pony on it !! In Marin County, we used to say you knew your day was off to a bad start when you queued up to pay your toll on the Golden Gate Bridge and you had a Pinto in front of you and an Audi 5000 behind you. 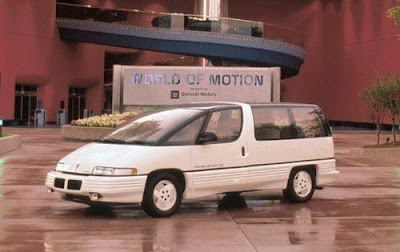 When the Pontiac Trans-Sport came out, I was invited to a consumer clinic and got to see it up close and personal. What a disaster! My biggest gripe was the poor sight lines to the instrument gauges. I crucified it in my comments with pages of complaints but they went ahead and tried to sell it anyway. How could you forget the Ford EXP or Mercury LN7? They were horrid! Not only did my family own a firetruck-red Trans Sport when I was growing up, we used it to tow a pop-up tent trailer, *and* I took my driver's test in it. Perhaps not coincidentally, when I was taking my driver's test, the passenger side window switch had a fault, and so the window would go down but not up. The DMV employee quite kindly put the window down to look at my parallel parking progress, then asked me if I wanted to start over. I did, and then we went out for a drive. On a major highway. With his window down. I'm shocked I passed. I just feel bad for all the people who went after me. 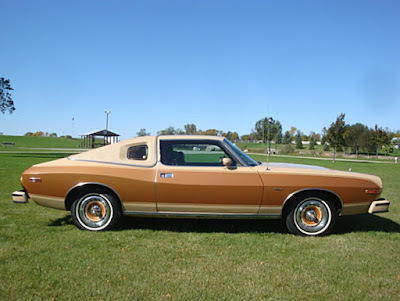 I saw a Studabaker Avanti yesterday -- it looked like a 5 year old's drawing of a Stingray had been manufactured exactly.